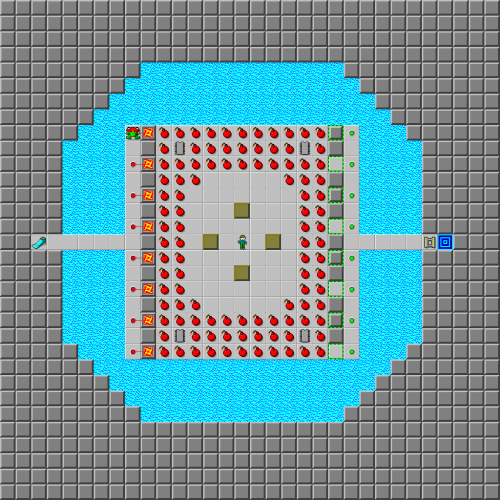 Flame War - The Chip's Challenge Wiki - The Chip's Challenge Database that anyone can edit! 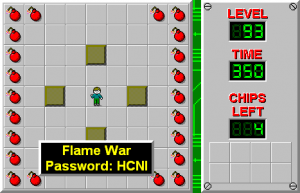 Flame War is the 93rd level in Chip's Challenge Level Pack 1. It was created by J.B. Lewis. A secret pair of flippers can be found by building a bridge to the left where the teeth monster is with the four blocks. This page was last edited on 27 February 2019, at 21:42.